U13s make it to the final! We entertained Wellington in the U13 cup semi final. In muggy but sunny conditions Norh Perrott batted first and reached a good score of 156-8 of 20 overs. There were excellent contributions from Alex Payne (33 retired), Toby Pattemore (31 retired) and Donald Corbett 22. A young Wellington team stuck to their task well in the field with O Hunt taking 3-24 including two wickets in two balls. Fourth game in seven days - fourth win! The U13s travelled to local rivals Ilminster for a rearranged league match. In glorious weather North Perrott batted first and quickly raced to 50 with some strong hitting from Alec Hayton (30 retired) including two sixes. George Bromfield (32 retired) carried on the good work and there were useful contributions from Joseph Eckland and Charlie McCaig. North Perrott finished on 119 - 6 which felt a little short given the very quick start. In reply however Ilminsters openers struggled to get going against some very disciplined bowling in particular from Jasmine Spilsbury - 4 overs for 11 runs, and Jerry Taylor 4 overs for 19 runs with two wickets. This left the lower order batsmen too much to do in the final overs and despite a good final partnership Ilminster only managed 109 - 3, giving North Perrott victory by 12 runs. Even the weather cannot beat us! Hot on the heels from yesterday's dramatic victory the U13s travelled to Wells for a quarter final clash. This proved to be more a battle against the elements than the opposition. In sporadic and light rain North Perrott batted first reaching a commendable 138 - 5 on what was a tricky pitch. There were good contributions from Barney French (30 retired), Alex Hayton (30 retired), Alex Payne (17) and debutant Freddie Goggs (18 not out). In reply (and increasingly heavy rain) Wells never got started with opening bowlers Toby Pattemore (5 wickets) and Andrew Stephenson (3 wickets) blowing away their batting inside eight overs. Wells finished on 30 all out. North Perrott victory by 108 runs. So onto a semi final clash with Wellington at home on 7th June. Game of the Season - so far! Wow what a match! North Perrott won the toss and batted first. 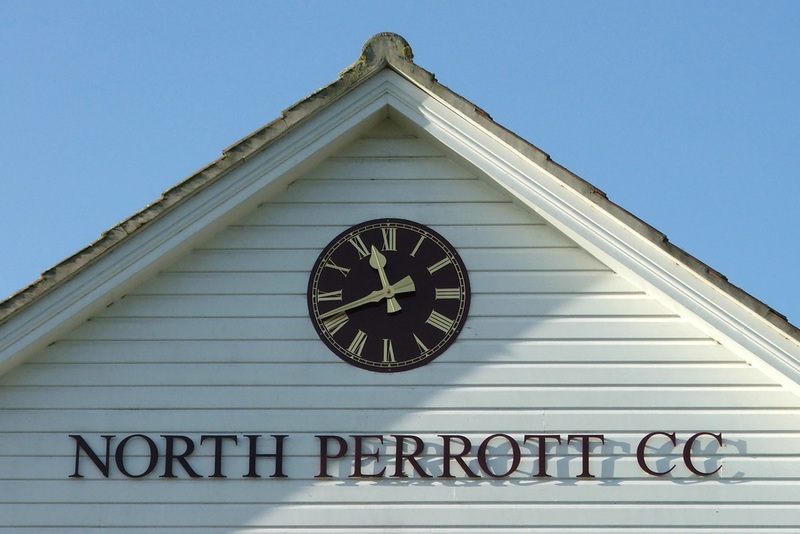 A very consistent batting performance against a good bowling attack saw North Perrott reach 147 - 9 off their 20 overs. Notable performances from Donald Corbett (30 retired - when will the opposition get him out?! ), Joseph Eckland (30 retired) and some lusty hitting fom Toby Pattemore 29 not out at the end. 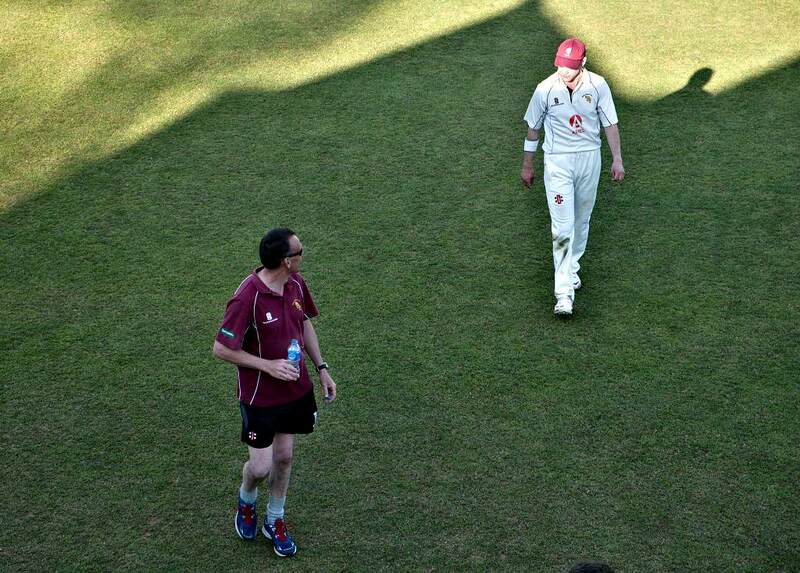 In reply Taunton started slowly losing a key opener to a stunning diving catch by George Bromfield in the deep. Taunton lost a further three wickets to catches before a good partnership with some big hitting saw them back into the run chase. In the final overs Jerry Taylor, Ollie Lowe and Alec Hayton held their nerve with some tight bowling and a couple of wickets to leave Taunton requiring four to tie (effectively win as they had lost fewer wickets) and five to win off the last ball. A slog to leg was very well fielded by George Bromfield on the boundary and Donald Corbett ran to the stumps to ensure victory for North Perrott by 2 runs...phew! A good performance by the U13 team swept aside a young Street side, Batting first North Perrott amassed 154 - 4, with excellent contributions from George Bromfield, Ollie Lowe and Alec Hayton. In reply Street never really got going and only North Perrott's generous contribution of wides allowed them to get any score at all, - bowled out for 77 in 18.2 overs. Bowling honours go to Andrew Stephenson with 2-6 and Lewis Brookes 3-5! Special mention should also go to Jerry Taylor for a stunning catch at point, and Alex Payne for an equally good catch behind the stumps. A solid bowling performance from North Perrott, especially from Lewis Brookes (2-0-6-3) saw Westlands restricted to 85 runs. North Perrott managed to make what should have been a straightforward run chase rather more complicated and tense. Donald Corbett led the way with an unbeaten 31 but it was left to the final pair and Lewis Brookes (again) to strike two boundaries to ensure a very good victory by one wicket.